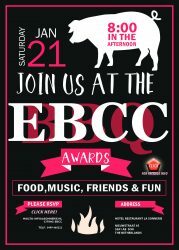 The EBCC is a part of the European BBQ Foundation. A non-profit organization with the goal to promote BBQ in Europe. Receivers of the “Medal for BBQ support”.